Trivia. The last time I had a concealer in my makeup kit was when I was in high school. That's about 6 or more years of 'no-concealer-life'. The only time I've had concealer on my face was when I am prettified by a professional makeup artist. Yes, I know I know. I'm super duper late with the concealer department. I am just grateful and happy that after years of 'no-concealer life'... my makeup kit finally includes a concealer and it's from K-Palette, a Japanese cosmetic brand that gained several positive feedback from different bloggers and people who have tried the products. 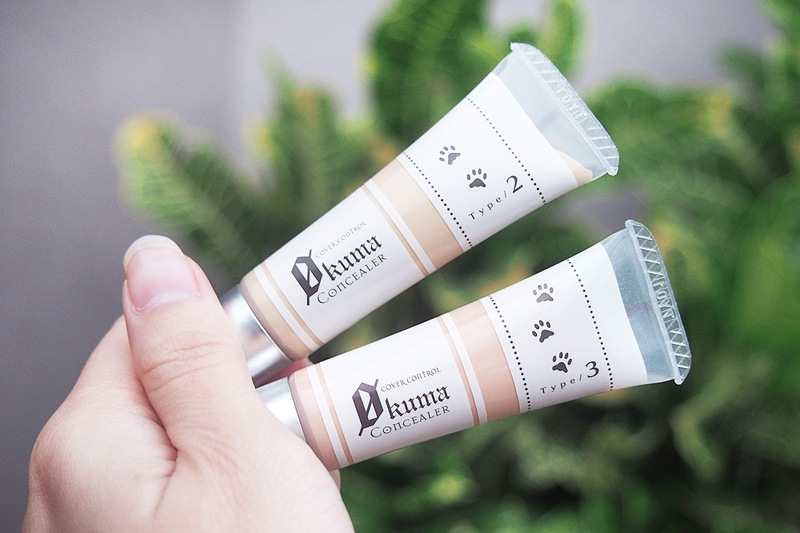 K-Palette Okuma Cover Control Concealer is available in 3 different shades. Type 03 (Blue Package): Orange Beige, conceal dark circles caused by poor blood circulation. 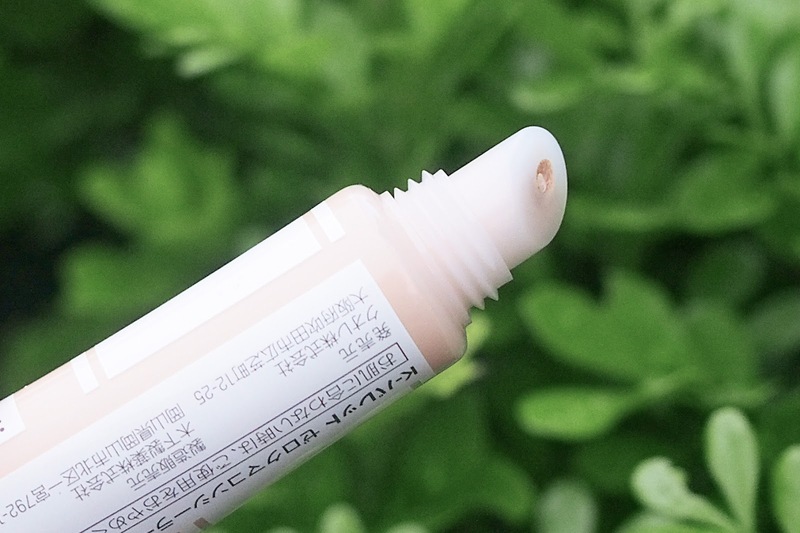 I didn't get the shade Natural Beige (Type 01) so I'll only be reviewing Type 02 & 03. 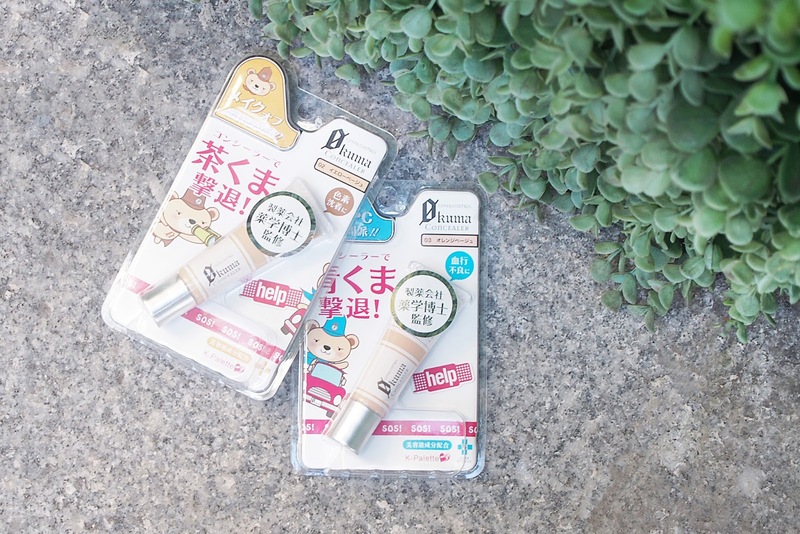 K-Palette Zero Kuma Concealers come in a squeeze 'lip-gloss-type' tube which doesn't make you use up too much of the product. I've heard that Zero Kuma Concealer is water and oil-resistant which is perfect for my oily skin. Well, I've been using the product for a few weeks already and I have to say it hasn't caked and I can see that it stays put, brightening and lifting my under eye. Here are the swatches of Type 02 & Type 03. I have a pale and fair skin so I use the Type 02 more often. I use it on my under eyes and the sides of my nose. I would use Type 03 to hide my pimples and slightly hides the pores on my cheeks. I did use both types on my under eyes and I can say both works well in lightening my eye bags. I just use the Type 02 because it's a lighter shade and I think that it gives a better lift or whatnot. I guess for most Pinay Type 01 would be best fit. (Yes, the shade I didn't get) Type 03 would work too. 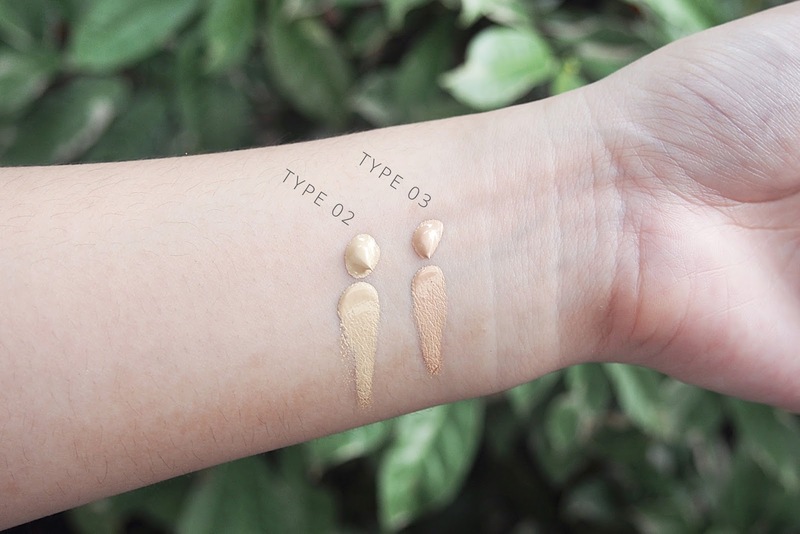 Type 02 could be used as highlighter if you have medium skin tone. - Has a thick consistency that prevents the product from oozing out of the tube thus wasting some of the cream. - Great coverage & easy to blend/tap onto my under eyes. - Powdery scent is faint & very mild but really good. - A little goes a looong way. - If you check the nozzle on the picture above, you'd see that there's a bit of leftovers of the cream. And I can't seem to wipe it out because of how it's angle. But I think that's minimal and the tube cover does have a pointed tip to I guess push the product back to the tube. - Availability. It's only available in Beauty Bar Outlets. Overall. I would stick with this product if I won't be able to find something that's much affordable and something that can match K-Palette Zero Kuma Concealer. See yah!